EVE LAZARUS is a journalist, crime historian, blogger and author. 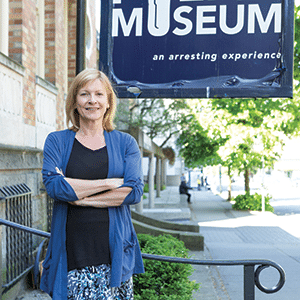 Her passion for non-traditional history and fascination with murder has led to seven books of non-fiction including the BC bestsellers Blood, Sweat, and Fear, a 2018 finalist for Best National True Crime book, Arthur Ellis Awards; Cold Case Vancouver, 2016 finalist for the Bill Duthie Booksellers’ Choice Award, BC Book Prizes; and Sensational Vancouver, recipient of a 2015 City of Vancouver Heritage Award. Her latest book is Murder by Milkshake: an astonishing true story of adultery, arsenic, and a charismatic killer. Eve blogs at Every Place has a Story — www.evelazarus.com.